Custom Patch For Yatse: Kodi remote control and cast App Version: 8.2.5 Updated in Lucky Patcher on April 30, 2018. Custom Patch For PdaNet+ App Version: 5.10.x Updated in Lucky Patcher on May 11, 2018. Custom Patch For Waze - GPS, Maps, Traffic Alerts & Live Navigation. App Version: 4.37.1.0 Updated in Lucky Patcher on July 16, 2018. 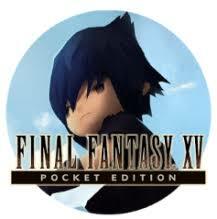 Custom Patch For Final Fantasy Pocket Edition. App Version: 1.0.4.309. Updated in Lucky Patcher on July 21, 2018. Custom Patch For Roll the Ball® - slide puzzle App Version: 1.7.36 Updated in Lucky Patcher on June 05, 2018.